Show last approximately 2 hours. 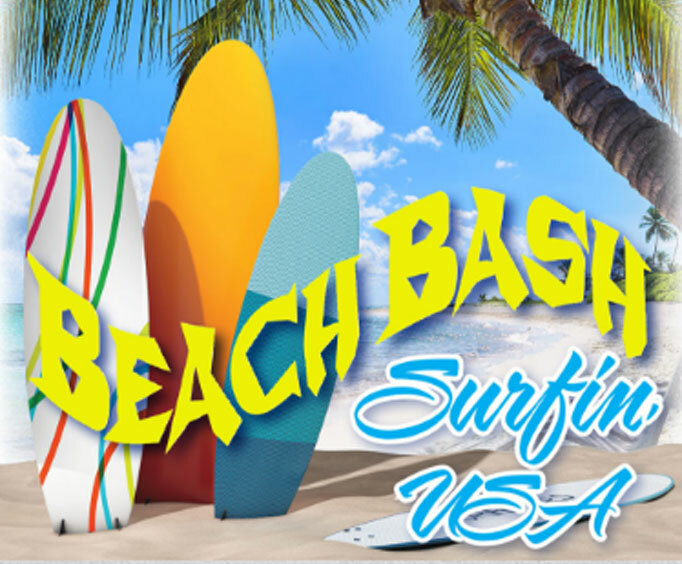 Beach Bash Surfin' USA is no longer available. For a fun and energetic performance in Branson, MO, head to the God and Country Theatre and see Beach Bash Surfin' USA. This amazing show will have you thinking you are right on the beach soaking up the sunshine and having a good 'ol time! By taking the music of the most famous boy bands and teenage icons from the past, this show is bound to be an amazing time for guests of all ages. Performing songs from some of the most famous artists of the age, this talented troupe brings great energy and even greater talent with them. Lighting up the Branson stage, they'll captivate audience members with renditions of songs like, 'Fun Fun Fun' and 'Good Vibrations'. As well as these hot hits, guests will also be able to enjoy music from bands like The Beach Boys, Sonny and Cher, the Mamas and the Papas, and the Monkees. Whether you have sang along with these hits for as long as you can remember or are new to the music, you're bound to have an amazing time. Bring along the entire family for an unforgettable two hour show filled with amazing music and great vibes. You'll dance, sing, and bounce along with some of the greatest tunes at the God and Country Theatre.